I recently met the founder of Eon Art Stéphane Hautcoeur, one of the last newcomers to the French high-end audio scene. It was not however the very first time I met Stéphane. Three years ago I was introduced to him during an exhibition of JLA Acoustique loudspeakers. Since the very beginning, Stéphane had demonstrated being a very hard-to-please audiophile. He showed an immodest interest in very challenging music, especially church organ recordings. But in those early days, Eon Art was still a mere project. Today it has become reality. More than being one of the latest high-end adventurers produced by our wine and cheese country, Stéphane Hautcoeur is also one of the last medieval knights to protect the old Avignon battlements. 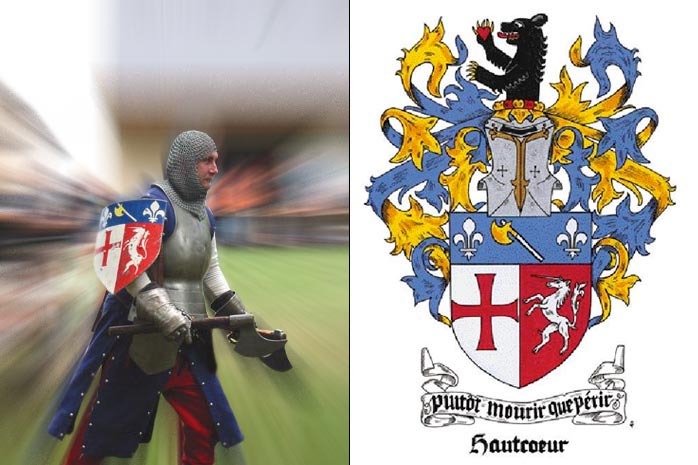 His coat of arm Plutôt mourir que périr—Better to Die than Perish—illustrates his passion and rejection of compromise quite well. A sense of bravery seems to be a way of life for this French manufacturer and his quest for sound perfection could be considered a modern-day variant on King Arthur's vision. Of course, everyone will admit that while faith is important to birth a project, it's not the only necessary ingredient for making superior amps. Fortunately, Eon Art’s team has a very respectable background in electronics and acoustics and Stéphane (managing another company specialized in data farm server designs) applies his own managerial experience to creating strong partnerships between certain key providers. 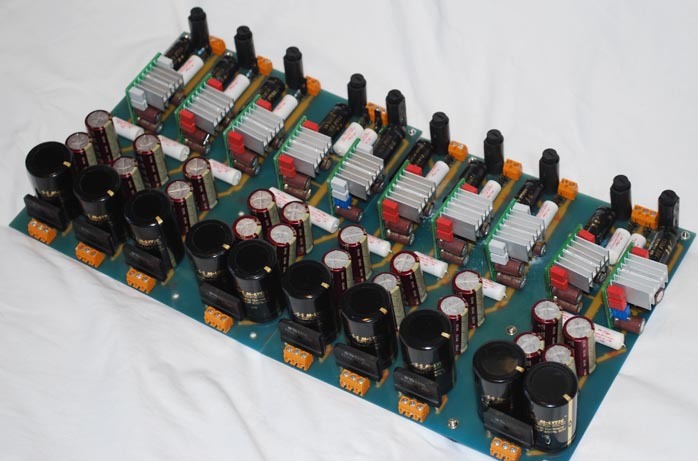 While common wisdom rightly holds that assembling class D amps from prefab modules does not require huge technical skills, Stéphane Hautcoeur demonstrates how it is nonetheless vital to go beyond available chip sets. Hypex or ICEpower are mere starting points, not achievements. What then is the exact purpose of this new French sound crusader? 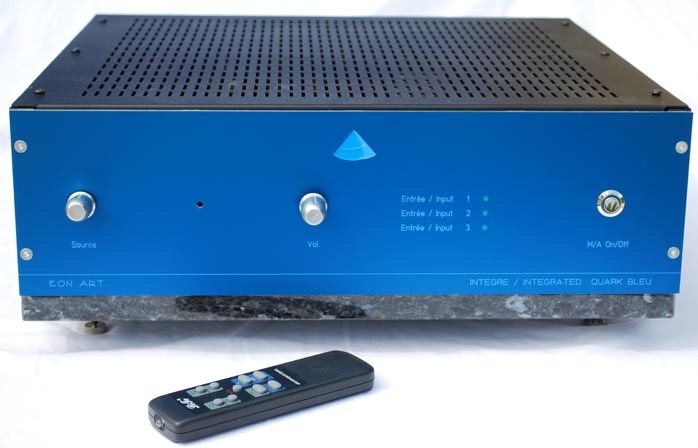 Eon Art’s purpose is mainly on the manufacture of amplification devices but the small French company also designs digital to analog converters. 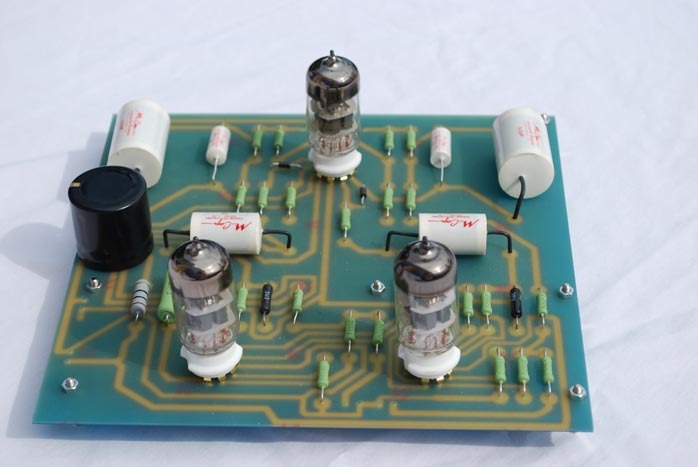 As most newcomers to the amplifier business, Eon Art chose to explore class D technology. Contrary to many other players, they decided to focus straightaway on the most ambitious range of products. How to make class D amps competitive with the best references in the the present high-end segment is Stéphane’s Grail quest. To achieve this very ambitious goal, the French startup focuses upon the complex alliance between hi-tech class D and vintage vacuum tubes. The technology used in Eon Art's preamplification stages is pure tube. Various triodes with low gain and high transconductance may be rolled and the most convincing results thus far came from 6922s and 6H23NEBs. High voltage conversion and regulation also harnesses valves. Eon Art’s class D amplifiers are designed around Hypex OEM modules which allow better integration with the French product line because their proprietary class A input stage can replace what is commonly found with turn-key modules of traditional class D amplifiers. The main advantages are superior bandwidth and a lower output impedance whilst preserving extremely low levels of THD. The 150w/8-ohm power rating of Eon Art's CL42 power amplifier combines optimal performance under extremely conservative parameters with high efficiency in most critical cases. 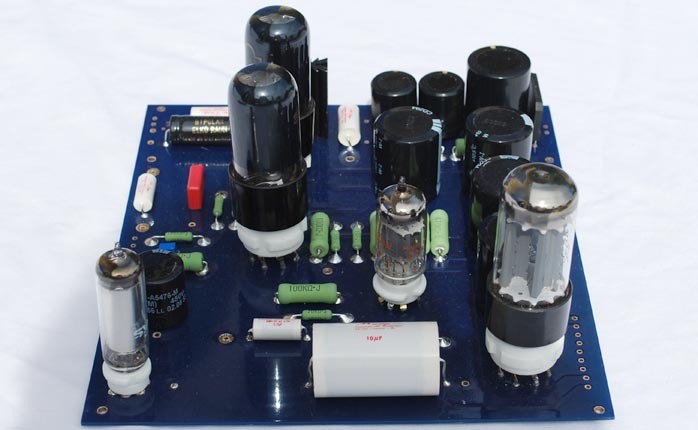 Contrary to many precedents, these specific class D amplifiers benefit from a muscular and precise power supply, which remains one of the basic foundations for any serious amplification device. The total capacity of filtering favors both quantity and quality to clean up the ground lines of the switching currents. Filtering is by a pack of different long-life low ESR and ESL audio capacitors sourced mainly from Mundorf and Elna. 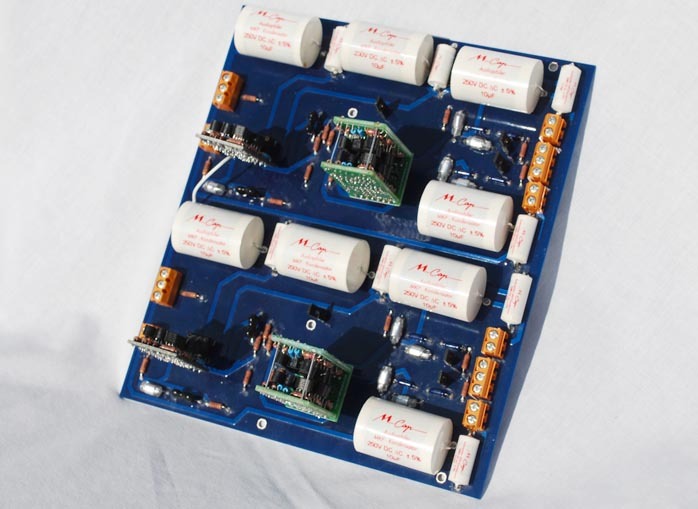 Messire Stéphane insists on linear ultra low-noise power supplies of very low induction. The transformers for the power supplies and output stages are made to spec by the Petra and CME Hexacom companies who supply a vast list of established high-end manufacturers with top-quality copper-wound iron. Other Eon trannies are R core types for fast transitions and low electromagnetic radiation. 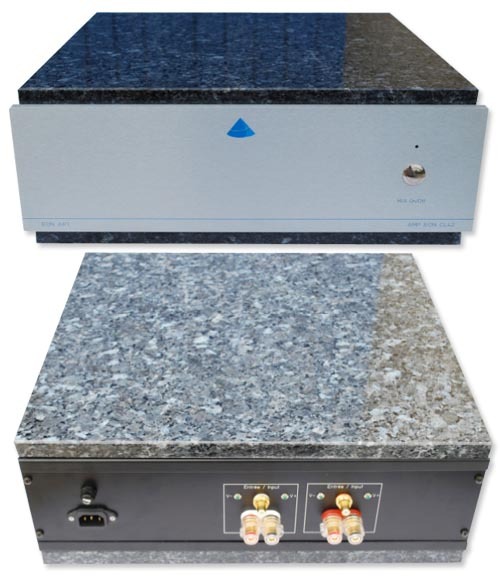 Power supply impedances are very low to guarantee high immunity to noise and sufficient power transfer. Particular attention has been paid to radiated electromagnetic fields and parts sensitivity to such radiation. Critical internal cabling is via high-end wiring from MPC Audio, a French manufacturer. Eon Art aesthetics combine simplicity and mass with a touch of medieval gloss. There are granite slabs—more precisely Labradorite as seen already in Icos products—which create a strong visual identity and also reduce chassis resonance. The enclosures are manufactured in Italy, the faceplates arrive from a German company and Eon Art amps rest on Soundcare Superspike feet to reduce susceptibility to vibration. As it is the case for many small audio companies managed by passionate persons, the improvement of current product is an ongoing process which never ends. Because critical improvements inside a model can be applied to its predecessors, Eon Art offers upgrades to existing versions in their workshop for the difference in retail price. This insures that customers will always own the best the company knows how to make. I had opportunity to audition two systems with Eon Art electronics during my last visit to Avignon. 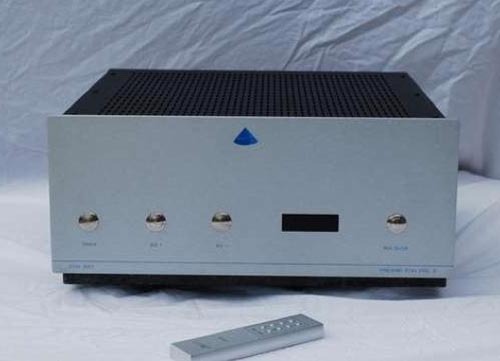 The first had the integrated Quark Blue 100wpc integrated amplifier with an Icos CD player and JLA Acoustique Stand 80 loudspeakers. 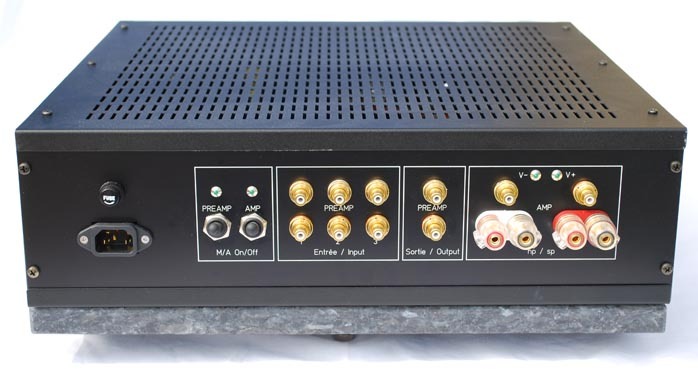 The second involved the full Eon army by way of the DAC1, Pre5 preamp and CL42 amplifier. An Icos Fado spun the discs and loudspeakers were the Cassiopée 2 floorstanders by French manufacturer Venus Acoustic. My listening experience was too brief to present any final conclusions of course but I can say with conviction that the Eon Art amps struck me as simply the best class D amps I have yet encountered. The quality of timbres was a highly relevant feature and definitely superior to what current protagonists in this class offer. In this very particular case, the alliance of tubes and class D seemed completely successful. Liquidity and wide bandwidth were other stunning qualities competing with very fine amplification devices regardless of caste - er, operational class distinctions. Dynamics delivered by the power amp were rather good and an audition of Japanese Kodo drums at realistic levels demonstrated that you have to go very far indeed before reaching any limitations with the amp. In fact, the CL42 power amp did not show any sign of stress or saturation at very high sound pressures and the depth and dynamics of the Kodo drums were reproduced with impressive realism. Precision and stability of the soundstage also seemed beyond average and the Eon Art electronics delivered a fine impression of presence from various recordings. 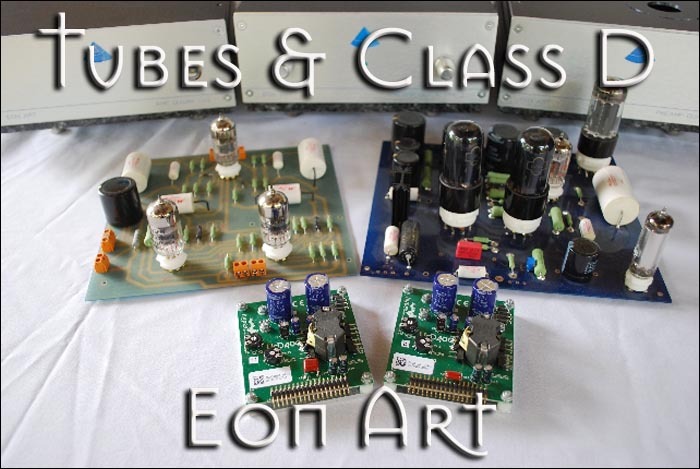 Trying to condense my overall impressions for a characterization of these new products, I would say that Eon Art electronics deliver exceptional timbre and fluidity as found in expensive tubes amps, albeit without the artificial coloration that sometimes makes long-term enjoyment difficult. They also provide the great dynamic potential of class D amps and the ability to power a wide range of loudspeakers without any harshness or particular loss of tone over distinct bands in the audible bandwidth. 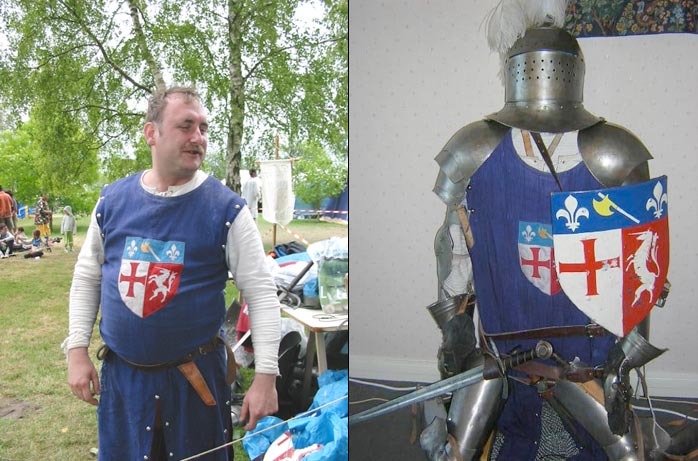 It is quite risky for a newcomer to the audio industry to focus directly upon the most expensive range of his competitors but this is clearly the case with our French knight of class D, albeit no more so than it had been for other medieval predecessors who dedicated their entire lives to a fierce commitment. I am convinced that the audio industry needs this kind of passionate adventurers to offer new perspectives. Stéphane Hautcoeur clearly enjoys a mature grasp of the opportunities and limitations provided by the various amplification technologies. He is also aware of his own limitations as imposed by the small size of his enterprise. The strategic partnerships he put in place with other companies are clearly a way to circumvent the usual start-up issues. You might of course also consider it risky for an audiophile to spend significant monies without certainty about what the future might hold for this new company. Still, the performance of the Eon Art products was such a tangible fact to my ears that if a long-term engagement with this French company does not scare you, you could truly find them a convenient way to build a very fine system with interesting upgrade possibilities. After this promising introduction, it is my hope that Messire Stéphane will see fit to let us investigate his products more closely under the usual formal review conditions.